Please call the office at 404-3439 to register or more information. 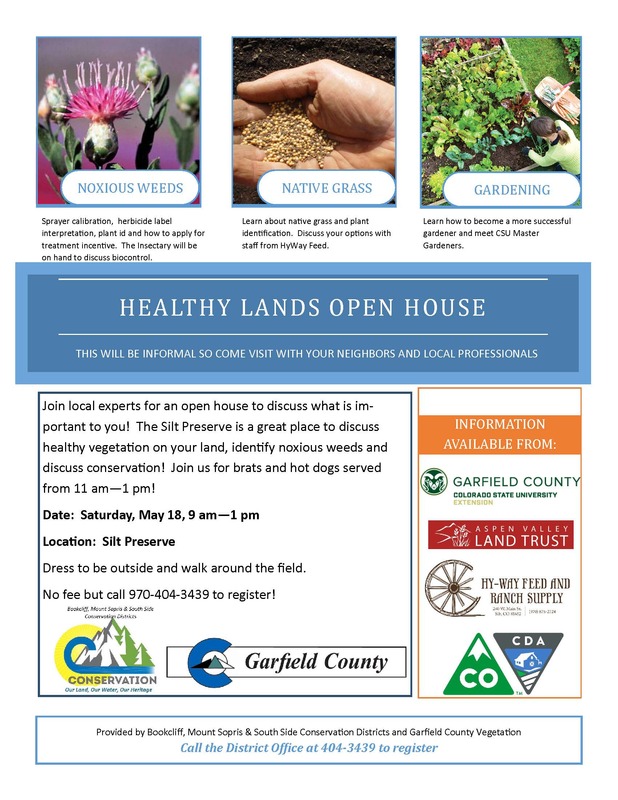 Each year Bookcliff, Mount Sopris and South Side Conservation Districts offer a variety of workshops for both small and large landoweners. Watch for events in your local paper or email. Ag Expo - Saturday, February 1, 2020 at the Garfield County Fairgrounds. Watch for updates! Tour De Farms - Saturday, August 10, 2020! Join us for a bicycle tour through Bookcliff Conservation District! Annual Dinner Meeting, November 1, 2020 at the Grand River Conference Center.